Horseman Joey George (at right) is pictured with Jasmine Wilkins who stopped at the Fayette County Fairgrounds recently to get a photo with a horse. She is pictured with the horse, Butter Bean, who is owned by Neil Glispie. 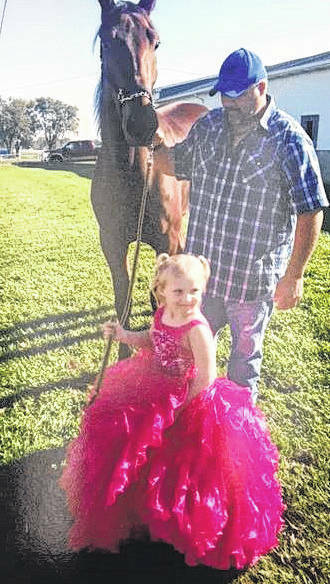 https://www.recordherald.com/wp-content/uploads/sites/27/2017/10/web1_IMG_4175.jpgHorseman Joey George (at right) is pictured with Jasmine Wilkins who stopped at the Fayette County Fairgrounds recently to get a photo with a horse. She is pictured with the horse, Butter Bean, who is owned by Neil Glispie.